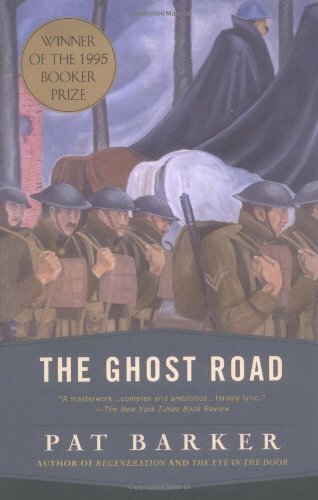 Winner of Great Britain's highest literary award, the Booker Prize, The Ghost Road is the culminating masterpiece of Pat Barker's towering World War I fiction trilogy. The time of the novel is the closing months of the most senselessly savage of modern conflicts. In France, millions of men engaged in brutal trench warfare are all "ghosts in the making." In England, psychologist William Rivers, with severe pangs of conscience, treats the mental casualties of the war to make them whole enough to fight again. One of these, Billy Prior, risen to the officer class from the working class, both corageous and sardonic, decides to return to France with his fellow officer, poet Wilfred Owen, to fight a war he no longer believes in. Meanwhile, Rivers, enfevered by influenza, returns in memory to his experience studying a South Pacific tribe whose ethos amounted to a culture of death. Across the gulf between his society and theirs, Rivers begins to form connections that cast new light on his--and our--understanding of war. 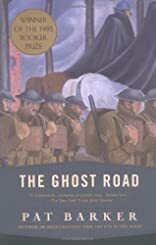 Combining poetic intensity with gritty realism, blending biting humor with tragic drama, moving toward a denouement as inevitable as it is devastating, The Ghost Road both encapsulates history and transcends it. It is a modern masterpiece. About Pat Barker (Author) : Pat Barker is a published author of children's books. Some of the published credits of Pat Barker include Border Crossing, Double Vision: A Novel, Border Crossing.